The Phoenix Sport Club is the premier location in Bucks County for your corporate event to be held. Our management and staff members work together to provide a wide range of services to support and ensure that you are the host of a highly memorable company party or successful business meeting. Whether your corporate event is meant to boost management morale or to increase sales through employee training exercises, you can expect to receive excellent service, an elegant environment, and numerous amenities to make every employees’ stay exciting and memorable. Enjoy an increase in employee morale when the needs of your corporate event is attended to by our capable and qualified staff members. You will be met with a list of full service corporate event planning services provided by Phoenix Sport Club, which makes our reception venue an ideal location for all large and small business meetings as well as other important corporate events. Our highly trained management team and staff members will provide your corporate VIPs and guest speakers with red carpet treatment for successful business meetings and corporate conferences. Available for your company or personal service, the staff at Phoenix Sport Club is always available to provide assistance with last minute changes or track down last minute supplies needed. 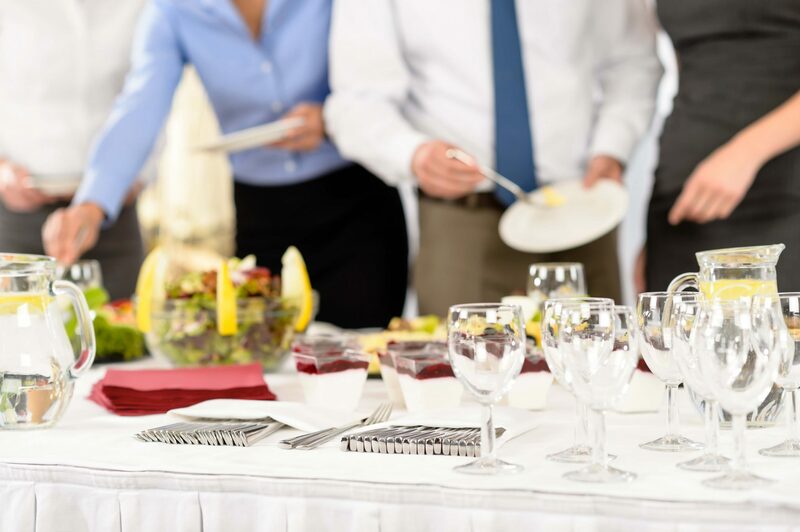 We will make every effort to help coordinate your corporate event from planning lunch or dinner menus to ensuring that you have all of the things your corporate event requires for maximum success. Conveniently just a short distance from several Trevose hotel accommodations, our facility combines convenience and gracious hospitality with unsurpassed conference amenities. With ample parking and large capacity banquet facilities, we are the ideal location for off-site private management gatherings as well as expansive regional trade shows. Choose the Phoenix Sport Club of Trevose when you need the assistance of a truly unforgettable corporate event planning service with ample capacity and parking. No other venue will provide this level of professionalism, nor pay attention to every small detail to ensure your company party or corporate event is met with nothing less than success. Booking requests can be taken over the phone at (215) 357-9913 or in person at our club. You may also email our management team directly at info@phoenixsportclub.com. Let us attend to the needs of your company party, corporate event or business gathering.